Finland-based Kone Corporation has won an order for 72 elevators and escalators for Phase Four, the last phase to complete Msheireb Downtown Doha, a pioneering project developed to revive Qatar's old commercial centre. Msheireb Downtown Doha is one of the world’s first sustainable downtown regeneration projects. It aims to redevelop the old commercial district into a destination featuring a mix of retail, arts and culture, entertainment, and new dining options. 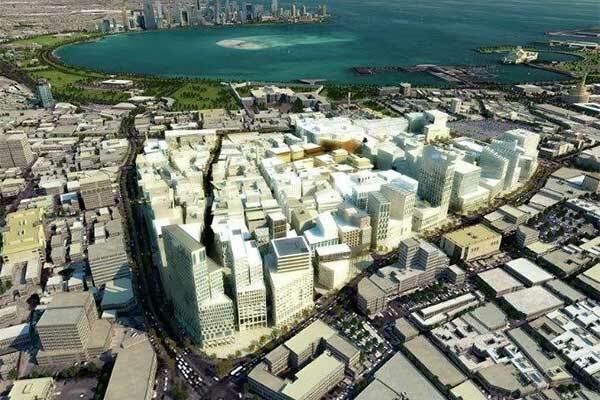 Phase Four at Msheireb Downtown Doha includes the construction of a public plaza and 11 mixed-use buildings that will house offices, apartments, retail space, five-star hotels, a medical office building and six parking basements. The development encompasses a gross floor area of 133,410 sq m, and the highest building will rise to 113 m.
Kone will equip the development with 53 Kone MonoSpace 700 elevators, 14 Kone MiniSpace elevators, three Kone TranSys freight and service elevators, and two Kone TravelMaster 110 escalators. The order also includes the Kone Destination Control System and Kone E-Link equipment monitoring. The order was booked in the fourth quarter of 2017. "We are happy that our energy-saving solutions have been selected for this pioneering project, which aims to create sustainable and innovative spaces to enrich the communities they house and to revive Doha's old commercial center," said Mark Bayyari, Kone managing director for Qatar.